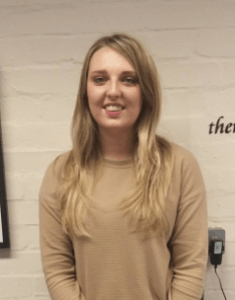 Apprentice for a business – it’s the way forward! The previous negativity surrounding having an apprentice is slowly starting to fade as they prove to be ever more popular and are offering benefits to employers and apprentices alike! So what is an apprenticeship? An apprenticeship is a work based training program designed specifically around the needs of an employer. An apprentice will work in a role within a company whilst also studying to achieve a qualification. Apprenticeship schemes are proving to be beneficial for both businesses and school and college leavers alike. Some of the benefits are listed below. Apprenticeships are available for 16 to 24 year olds that are looking to earn a wage whilst gaining a qualification. Apprentices can offer a wealth of benefits to small and larger businesses alike, offering a chance to increase productivity whilst remaining a cost effective option for companies. Benefits reported by around two-thirds of employer’s state that apprentices improve products or services, bring new ideas to the company and better morale amongst staff. Employing an apprentice means working with someone to train them in a role for a lesser cost than a skilled worker would expect to do the same role. According to the Apprenticeships website, “72% of businesses report improved productivity as a result of employing an apprentice” and “96% of employers that take on an apprentice report benefits to their business”. A lot of myths have previously surrounded apprenticeships, giving people false impressions that they are for those who are simply not good enough for uni, or that university graduates have better career prospects than apprentices because they have a degree. These statements are completely false, and in fact apprenticeships offer many qualities that going to university doesn’t. One benefit of choosing an apprenticeship is that apprentices earn a wage while they learn. Unlike university where students can get into great debt, apprentices have the chance to earn while they learn. Apprentices also gain qualifications which start from level 1- intermediate, all the way to level 3- which can be equivalent to a foundation degree! Unlike university students, apprentices also have hands on work experience in a real working environment, which can be more attractive to employers than someone who has a degree but no work experience. Therefore, it’s no wonder that the government are going to increase apprenticeship opportunities by 100,000, spending a huge £222 million pounds! Mid-way through my first year at college, I was told to start writing a personal statement to apply for university. After going to university open days and viewing the courses I was interested in, university didn’t seem the right choice for me. I was more interested in gaining a qualification and earning a wage than getting myself into (potentially) massive debt for a course that I wasn’t completely interested in. I used the Apprenticeships website to search for marketing/media related courses and found one that looked ideal for me. After applying and having a successful interview, I was offered the role and was asked to start working at the start of September. Two months on, I’m enjoying every moment of my apprenticeship and learn new things every day. I am thrilled to be apart of a growing and successful company, who are so willing to pass on their knowledge and train me into the marketing professional I’ve always wanted to be! As a growing company I was looking to take on someone in the office to help and manage the increasing demands on my time such as implementing marketing campaigns to general admin tasks. However, cost was a barrier, to employ someone who had the relevant skills we would need the money in the bank to pay them which was a risk for a growing company like us. After being contacted by Phil Kimber from Boom Training Ltd I found another more attractive solution to my problem – an apprentice! The benefits to us would be a grant from the government to help pay their wages, a lower wage to pay and a chance to train someone from scratch into being the perfect employee for the role in our company. For me it was the best way to solve the problem and has been one of the best decisions we have ever made. We have a highly competent apprentice who is willing and eager to learn as well as having someone to support me in the office.